Imagine going on a bicycle ride and getting stranded on the highway because you hit a rock and broke a derailleur. You get off the bike with no clue on what to do. It is one thing to go on bike trips with your repair kit; it is an entirely different thing to know how to do a bicycle tune-up. With a little skill, you can actually handle the situation I just described. 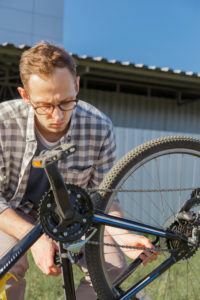 This is why I am going to show you 4 easy bicycle tune-up tasks you can do yourself. We all tend to do a lot with our bicycles. From transportation, leisure, and sport, to breathtaking adventures. It is only ideal that we properly maintain them. While this is important, there are also some tune-ups we can do ourselves. This will not only save you during emergencies but can save you a lot of money too. These simple tasks will help you when you face some biking hassles, and ensure that your bike continues to perform optimally. First of all, how do you know your bike needs a tune-up? I’ll take you through a simple bicycle test I have learned some time ago. The Drop Test: You definitely know that your bicycle is in a perfect state when it bounces off the ground without strange signs or sounds. To do this, lift your bike about 5 inches above the ground and let it drop. If you notice any strange sound like a rattling when it touches the ground, that is a sign of loose parts. Check all bolted or screwed parts of your bike to fix this. The Wheel Spin: You can either turn your bike upside down or suspend it in a way that the wheels are not resting on any surface. Then spin the wheels with your hand. If your wheel doesn’t spin freely, and if it is wobbly or touches the brake pad, you should know it needs adjusting. Tire Check: This requires very little time, usually less than a minute. However, it is a crucial check before any ride. You should check both tires for leaks, tear, rips or cuts. Ensure you replace anyone with any of these signs. Also, check to see if they are sufficiently inflated according to specifications indicated on the tires. The Brake Test: The brakes are other important items on your bicycle that must be efficient at all times. Apply the levers to see if they grip the wheels tightly and if they snap back when you let go. If there is any sign that your brakes are compromised, ensure they are fixed before you go on that ride. The Headset Check: I don’t want to assume ignorantly that you know what the headset is. It is that tube that holds your handlebars and connects the frame and the forks holding the wheel. You should check to see if it is holding the handlebars firmly. Apply the brakes and try to move the bicycle forward and backward. The back tire should go up and down, not sideways. Also, check for strange sounds that might suggest you need to fix it. Brakes are very much essential to the performance of a bicycle, especially with controlling speed. An efficient brake system helps to keep you safe from accidents. So, taking care of your brakes is a very crucial tune-up task you should do regularly. You should do this by first checking the brake pad for wearing. The pad is the rubber-like object attached to the brake; the one that actually comes in contact with the rim. If you observe that the pad is wearing, you should replace it. If the pads are not wearing evenly, you should have your brakes adjusted. The next thing to do is to apply the brakes and see if the pads touch the rim at the same time. If they don’t, you will also need to adjust the brake system. You should also check to see if there is some slack on the cables when you squeeze the brake levers. You can adjust this by rolling out the barrel from the point where the cable enters the housing. If you’re quite savvy with mechanical parts, you should also be able to fix the issue with your brake pad. You can do this by adjusting the brake caliper. Continue to turn it clockwise and test your brake as you do until it holds firmly. If you do all this and it still doesn’t work properly, you need to replace your brake. Otherwise, take it to a mechanic. If, for any reason, your brake fails on a highway, try riding off the road onto grass or up a hill, this should help reduce the speed and bring it to a stop. Once that happens, get off and take a ride home. The importance of the brakes is why this is one of 4 easy bicycle tune-up tasks you can do yourself. It can be very frustrating when you’re having a beautiful ride and the chain just pulls off due to clogs hanging around it. It is important to always clean your chain- by degreasing or disassembling and cleaning with a cotton swab- to avoid such unfortunate incidents. One very effective way to do this is to soak it overnight in any prescribed lubricant or solvent. The chain, like any other machine part, would naturally get old and begin to rust. Oiling and cleaning are two important activities that can help prolong their lifespan. Otherwise, it might begin to get really twisted and stiff. Also, there are times when the chain is either slack or too tight and needs to be adjusted. You should ensure it is on the right jockey wheel. If it isn’t, you should put it on the right one to achieve the required firmness. If you’re still wondering why this is on my list of 4 easy bicycle tune-up tasks you can do yourself, wonder no more. The chain acts as the engine room of your bike, giving it locomotion by giving effect to your pedaling. When you pedal for movement, it is your chain that takes on the job of making your tires move along with your pedal. This is why it is important to take care of it. But you don’t have to spend so much when you can do it yourself. For the sake of this guide, I will take the bicycle wheel to include your tires. So this tune-up tip will cater for the tires, rims and the entire wheel. Your wheels help to make your ride stable and hold your tires in place. Your wheels should be cleaned regularly using alcohol, or any prescribed solvent, and a piece of dry cloth. This will help to preserve the look and lifespan of the rim. Also, when your wheel is damaged or has a dent or nick, it can greatly affect your tire. It can also reduce the performance of the brake pads or cause them to wear quickly. You should perform the wheel test I described earlier to know if the wheel is properly fixed and not wobbly. This is a very important part of the 4 bicycle tune-up tasks you can do yourself. Your tires should also be checked for cuts or rips. Where there is one, a replacement is required. If you have a hand pump, you should be able to do this. Using a spanner, you should loosen the bolt to get the wheel off the bike. Deflate the affected tire by decapping the valve and letting the air out. Once that is done, you can take the tire off the wheel by using a large spanner or a strong flat metal. Then you can replace it with a new set. However, if you cannot do this, it is best to take it to a mechanic. You have done your own part of the tune-up by cleaning the wheel and detecting the damages. Most often, we tend to ignore this all-important part of our bicycles. Their roles are so important that we can almost not ride a bicycle without them. They are those tightly twisted wires made of metal but housed in plastic. They are the link between the wheels and derailleurs and the brakes levers and gear (or shifters) control, attached to the bicycle head. You should regularly check your cables to see if they are any damages. Damage to your cables can affect its firmness and your bicycle performance. At full speed, your brakes may not stop your bicycles on time and that can be very disastrous. When you do notice cracks, rust or looseness on your cables, you should replace them. Replacing your bicycle cables require some great technical skills. So you should consider taking it to your mechanic. However, if you can, you should change it yourself. If you’re a regular biker, your cables should be changed yearly. Otherwise, every 3 years should do. 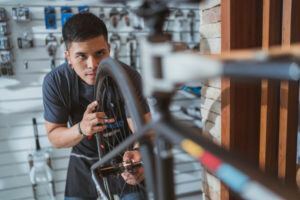 Getting new cables will greatly enhance your bike’s performance, and that is why this is on my list of 4 bicycle tune-up tasks you can do yourself. A bicycle tune-up is important for several reasons. It ensures that your bicycle is in great shape and performs optimally. By constantly maintaining parts of your bicycle, the parts tend to perform well at all times. This will greatly enhance the overall performance of your bicycle and increase its lifespan. Furthermore, regular bicycle tune-up helps to prevent accidents and keeps you safe. The accidents that would normally occur from a bad tire or wheel, worn out brake pads, and brake cable can be avoided. It will only do you great good to do this as often as possible. You remain safe and your bike is kept from unnecessary damage. Another important reason for a regular tune-up is that you save a lot of money. Buying a new bicycle and changing bicycle parts frequently would normally cost more than the regular tune-up you should do. A worst-case scenario is injuries you might incur from an accident. Apart from the unbearable pain, medical bills are other costs you can save. I know your bicycle is probably your most reliable property right now. Gliding through tight city traffic without any worries or just riding into the sun during summer just gives you an amazing feeling that is like no other. However, if you fail to properly tune-up your bicycle regularly, you could encounter some problems that can spoil your fun ride. 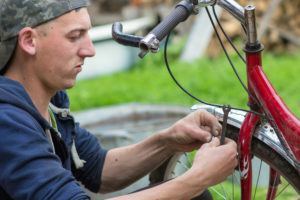 This is why I have provided this guide to show you 4 easy bicycle tune-up tasks you can do yourself. I am Delia. I am a bike lover people. I love to read blog & article about the bike. A few days ago I started to read your blog. One small word I want to say, this is an awesome blog. In this post, you talk about tuning a bike. Many people ride the bike but they can’t tune the bike by himself. They go biking repair shop & spend a lot of money. In your article bike rider know how to tune their own bike. I also learn how to tune my own bike from your post. In your post every single feature is important. 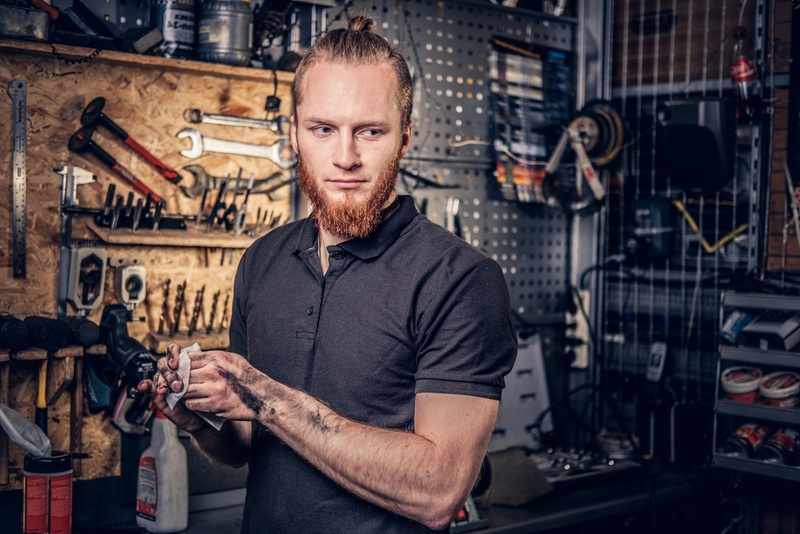 In this post, you explain how I maintain my bike also my bike parts. Cleaning chain, tune up my wheels, how to take care of my cables etc. This kind of section is very important. I don’t know how I maintain that kind of parts. Thanks for sharing it. Hope you will provide more tips & tricks about bikes.